It might come as no surprise to you that it is the dream of many to leave their busy lives behind and make a new life in a country like Italy. A wild country with plenty to offer, life in the boot can offer a better lifestyle for those who don’t mind skipping out on its main touristic cities, such as the story of Julie and Andy from the UK, who first met at age 11 at school before losing touch and reconnecting 30 year’s later. It was during this reconnection that they discovered that they both harboured the same dream for the last 15 years or so, to live a much simpler life abroad. A New Life... But Where? They decided to take the plunge, neither were well off but property was cheaper abroad so they could sell up in the UK and have enough to buy a place with a bit left over to start their new life. Three of the children wanted to move and three wanted to stay in the UK. They knew Italy was going to be their place, as total foodies where else would do? 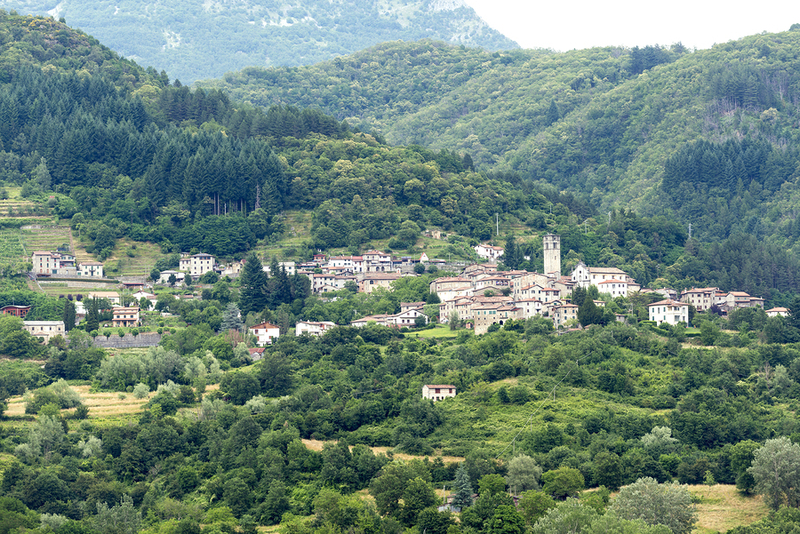 They looked in Piemonte and Tuscany, both beautiful, Northern Tuscany was affordable and while the rolling vineyards of Siena are beautiful, they preferred the rustic charm of the mountains of the Garfagnana valley. In early October 2013 they said their fond farewells and set off in a van and a car, five people, two cats and their trusty old springer spaniel. Things have been tough at times but they never once looked back! 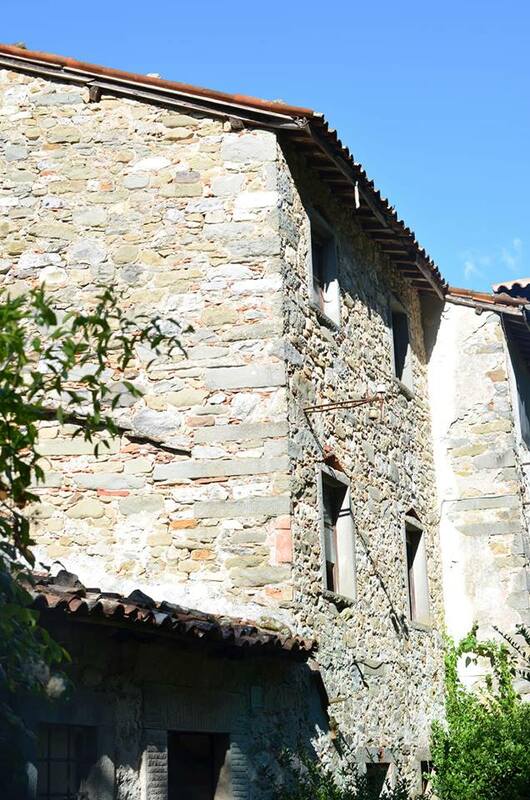 They bought ‘Tineggiori’, a smallholding with 8 acres of land and a very ‘rustic’ farmhouse with no water, heat or bathrooms. The journey to bathrooms and hot water was a test of their commitment, but also a great bonding time. As a family they learnt how to cope with the very basics and nothing more. Life was simpler but far tougher than expected. Coming from North Yorkshire they thought they were good with winters but the Italian mountain weather is a force to behold and long spells without power meant they became resourceful entertainers when TV and phones were not an option. They immediately found the local people to be just wonderful, friendly, helpful and totally welcoming to the whole family. Language was often an issue, there is very little English spoken in the area but they wanted to immerse themselves in the language and culture anyway. Andy comes from a farming background and Julie’s father had a yearning for the smallholding lifestyle, there were always chickens, ducks and a couple of sheep in the garden when she was a child. The land they had bought had not been farmed for some time, but with the help of their Italian friends the farm slowly came to life. Starting with chickens and turkeys followed by their much-loved pigs. The big task was to learn all they could about turning their farm into a business that would enable them to contribute to the community and ensure they could build the life they hoped for. Food was the obvious answer, Julie had been a professional chef and Ruth (Julie’s eldest daughter) has an absolute gift for creating unique flavours that pair perfectly with the farm's other products. With the help of their Italian friends they spent two years learning the traditional craft of Salumi, learning how to make salame, coppa, prosciutto and a full range of meat products. The Italians were very patient teachers and totally generous with their expertise and knowledge. They were also very critical if something wasn’t right, so when, eventually Julie just received a discreet nod of approval for her latest salame, it felt like she’d been awarded a Michelin star! 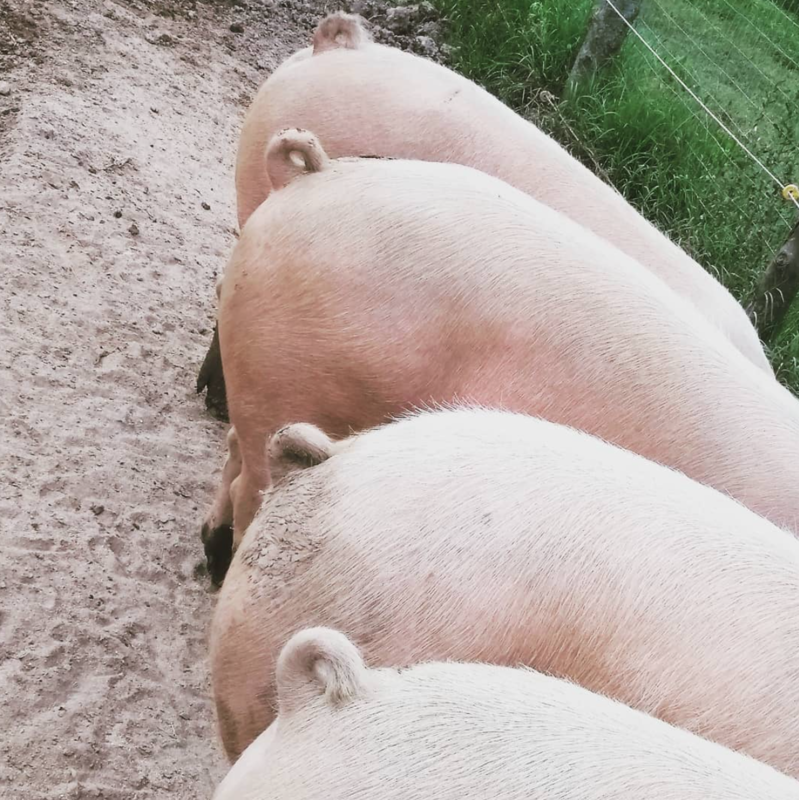 First and foremost, the whole family are passionately dedicated to animal welfare, all of the livestock are slow grown in the great outdoors, with every attention possible paid to their happiness and wellbeing. Dom (Ruth’s partner) has a particular affinity to the pigs and they love him. This could be all the time he spends scratching their heads and spraying them with water when it’s warm. In 2018 The Tuscan Pantry was born, the website was built and the previous years of learning, trying and testing of recipes were finally put into action. 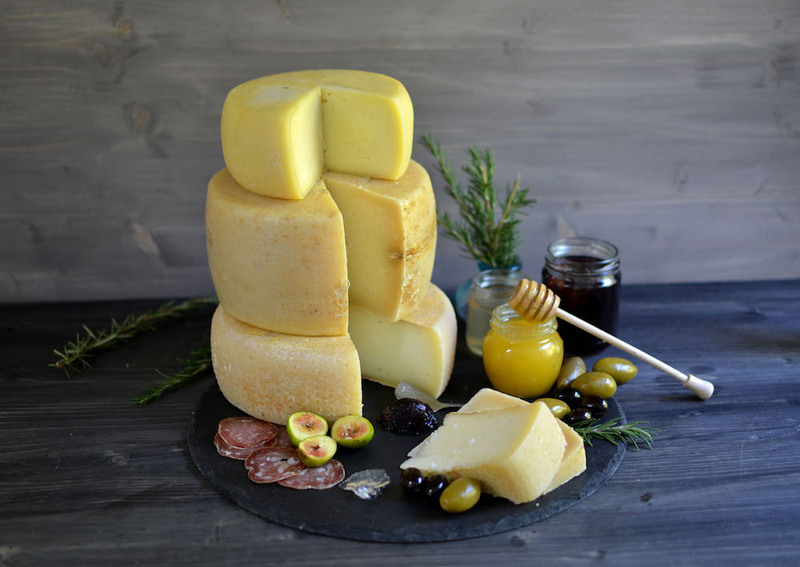 The Tuscan Pantry offer a range of products for the UK and US market. All products are homegrown and homemade on the farm or locally sourced. 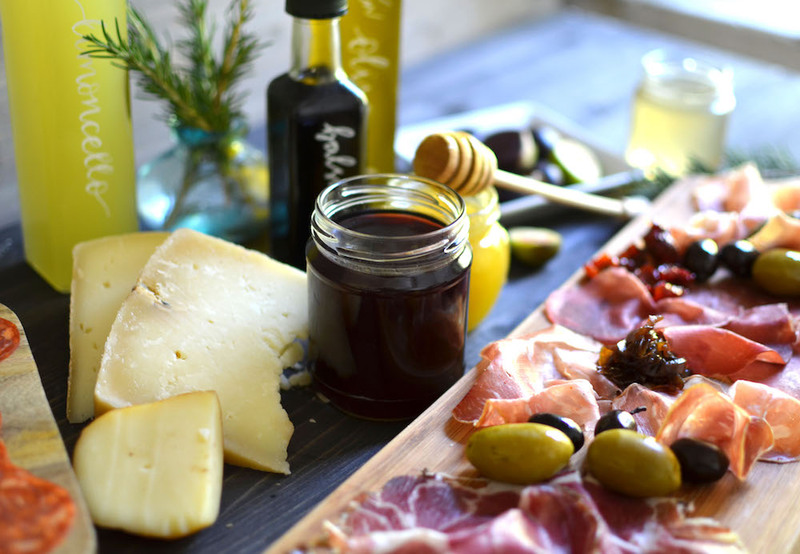 They offer a antipasto board containing a selection of delicious cured meats and salame, a full range of homemade preserves, jams and chutneys and a locally sourced cheese board. Also on offer is a very competitively priced Artisan Italian Hamper Range for a real taste of Italy at Christmas. 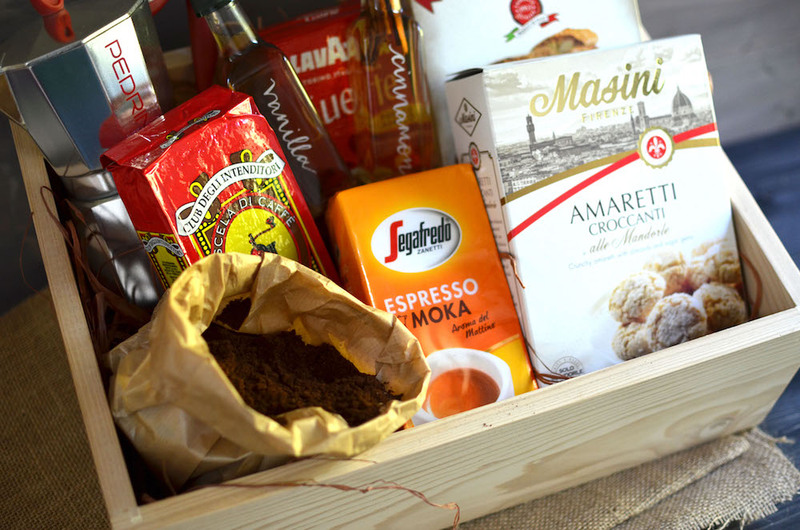 One of our favorites is their hamper dedicated to Italian coffee with a traditional coffee Moka pot (serves six espresso size cips), 4 packs of coffee, speciality Italian biscotti and amaretti and a variety of flavored syrups. The product line is growing all the time with new recipes being tested every week. (It’s a tough job)! The Tuscan Pantry is also passionate about being kind to this great planet, you cannot be self sufficiently minded without caring about the environment.They adopt traditional practices, use renewable energy were possible and seek out packaging that is either re-useable or easily recycled. No plastic should get to landfill or the ocean from Tineggiori Farm! 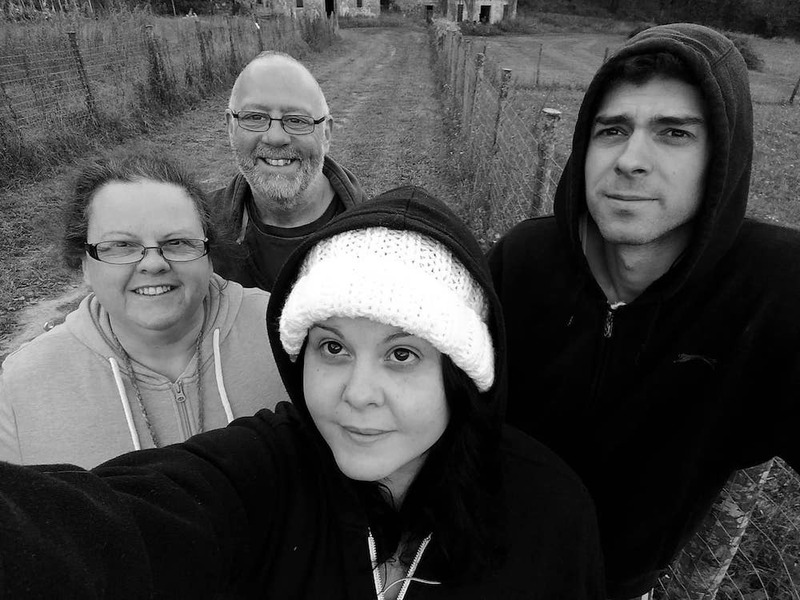 The family hope that their story will just get bigger, they hope to expand the farm to include a dairy cow, they are planning a new orchard over the winter and want to introduce three bee hives next year. They will need the bees to pollinate the new orchard and if there’s one thing the world needs more of it’s bees! It’s five years this month since the great adventure began, there are much-loved family still in the UK while two of Julie’s children have settled elsewhere in Italy. But every year, for one week, everyone descends on Tineggiori and the whole family are together, to eat, laugh a lot and enjoy life! 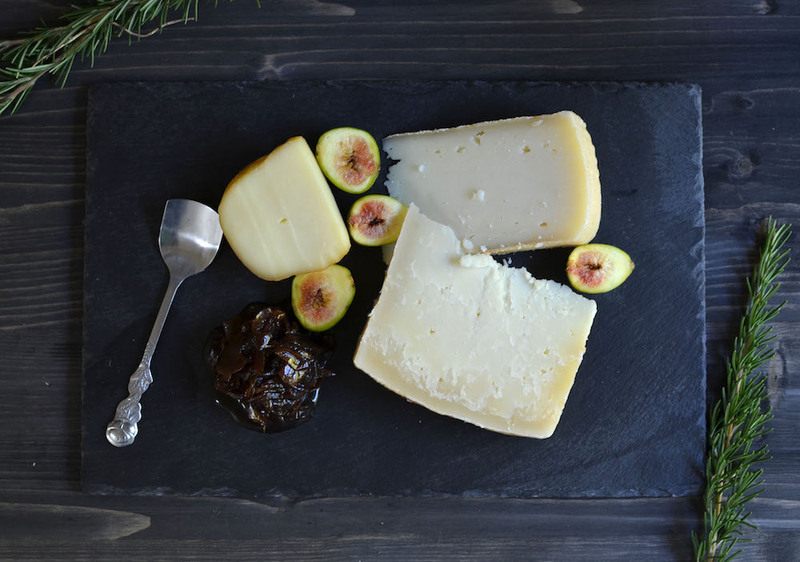 The pantry of choice that would make for the perfect gift for this holiday season. Artisan Italian Christmas Hamper: contains a full charcuterie board containing a selection of our home produced cured meats and salami, minimum grass-fed potted game, chicken liver and truffle pate, local aged pecorino cheese, local smoked scamorza cheese, and christmas chutney. The Tuscan Pantry is run by Julie Cook, Andy Smith, Ruth Cook & Dom Smith. Find out more about their delicious options here and order your Christmas products well in advance. Tuscan Pantry Specialities include grass fed potted game, chicken Liver and Truffle Pate, sticky red onion relish, prosecco jelly, mulled wine chianti jelly, wood roasted tomato & basil sauce, marrow & ginger marmalade, wood roasted beetroot & paprika chutney, dry cured coppa in bamboo with an acacia honey & rosemary crust, salame picante with walnut.